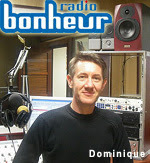 The first e-mail was from Radio Bonheur, Pleneuf val Andre, North France. "Je vous confirme qu'il s'agit bien de Radio Bonheur que vous avez capté!" Radio Bonheur plays 100% French music. 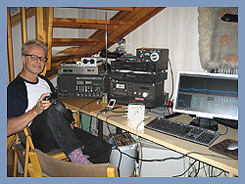 This station is located in North France beside the sea and they have 3 transmitters. I heard this station on 90.1 MHz where they have only 50 W transmitter (www)! My mp3-clip. The other e-mail came from South England. Original 106, Southampton (www) confirmed my mp3-clip! 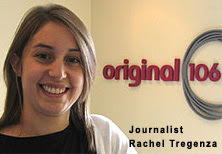 News editor Rachel Tregenza wrote me: "Yes, this is our station, and it’s me reading the news! 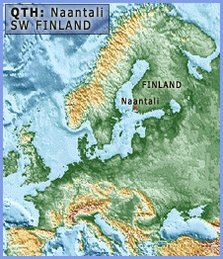 How very interesting that you managed to pick up the signal in Finland! Thank you for you interest,"
Later I had also mail from Karen Woods with compliments of my reception in Finland.